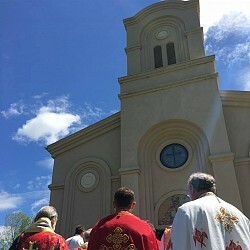 Orthodoxy In America - Find an Orthodox Church Near You! "Безумниче, ове ноћи узеће душу твоју од тебе"
"O mindless, one! Tonight your soul will be taken from your body!" Why are our Pascha eggs red?